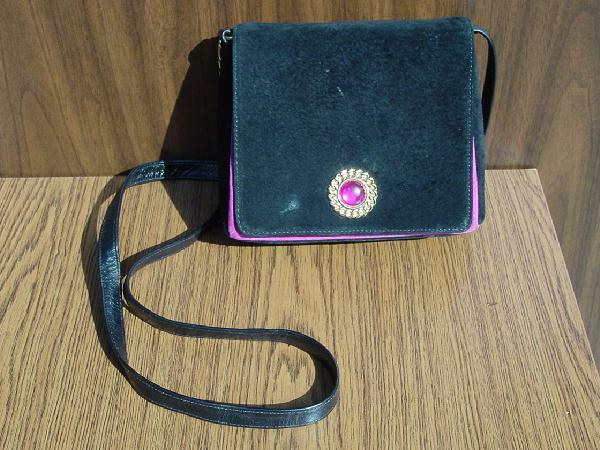 This black, hot pink, and purple brushed cotton purse has a magnetic flap closure and a gold-tone and hot pink ornament on the front. There are 3 scuff marks on the front flap. 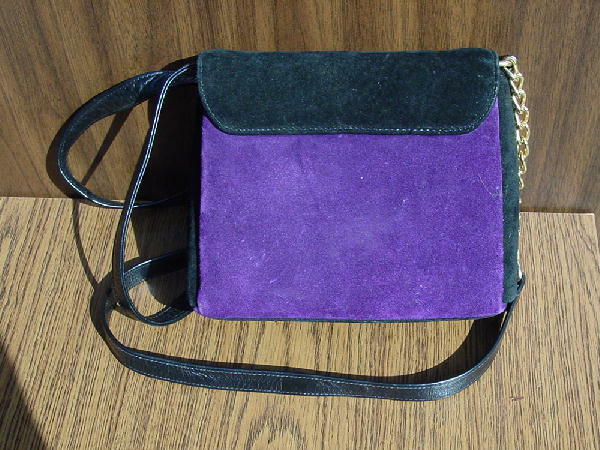 It has a 49" shoulder strap (first 5 1/4" on one side is a gold-tone chain). The black interior has 2 compartments, one of which has a zippered pocket.